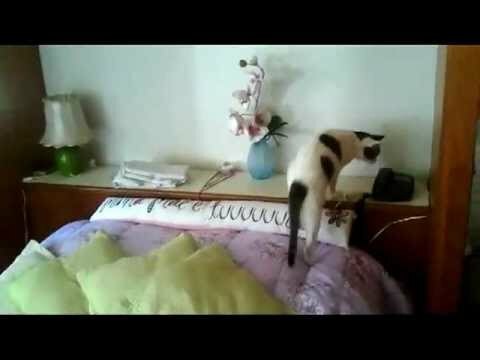 There are 15 cat videos tagged with black-and-white. 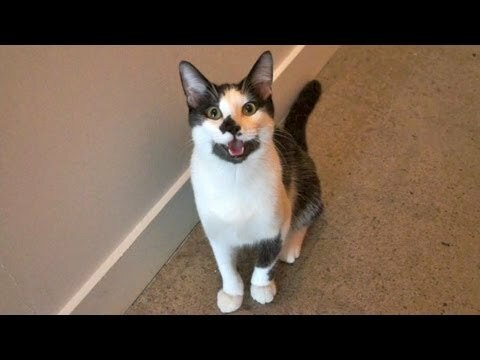 Kodi the cat shows off eight things he does that seem more like he should be a dog than a cat! Most cats can easily get into any bag of dry food within reach but not many would be able to do what this cat did. 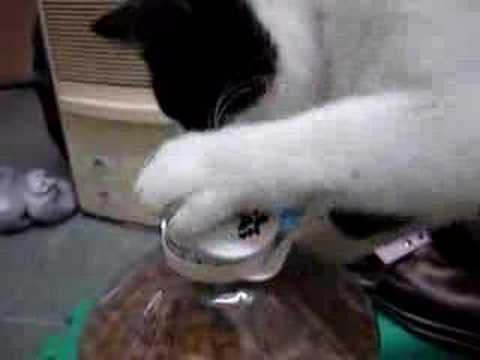 The smart black and white cat was able to unscrew the lid off of a bottle where its food was being stored. 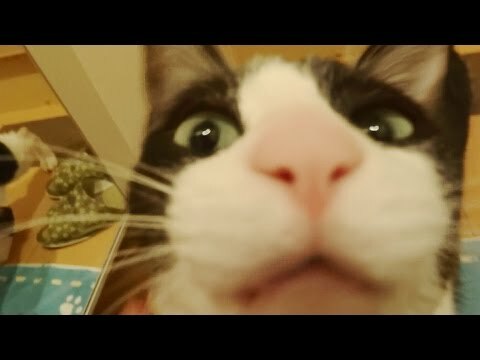 After being away for three days, this cat owner gets a very excited welcome from their tuxedo cat. The cat meows loudly as it bounces down the stairs, happy to have company again. A cute black and white can first gets some love from a human, then gets it from a pony. 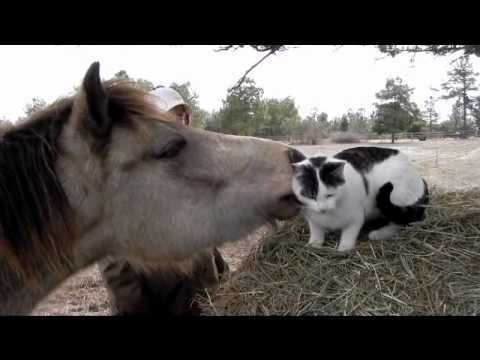 The horse grooms the cat and the cat looks like it's in heaven. I don't know if I'd let my neck near those big horse teeth, but this cat is enjoying it. 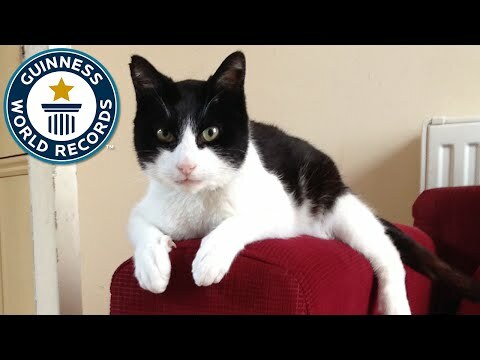 Meet the Guinness World Record holder for loudest purring domestic cat, Merlin. Merlin lives with his owner in Torquay, Devon, UK. 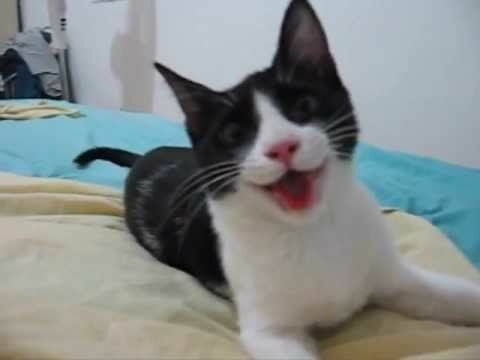 His purr was recorded at 67.8 db(A) (about as loud as a shower) on April 2, 2015. Penny is one very excited dachshund dog just trying to get her energy out by bouncing on the bed. Her cat friend, Liz Lemon (adorable name! ), isn't having it though. She calmly wraps her arms around the dog to get her to calm down.